Send Us your Query, We typically reply within 24 business hours! Are You Human? - Click Box Before Hitting the Submit Button! Please sign up for Sunland Auto Service's email list. 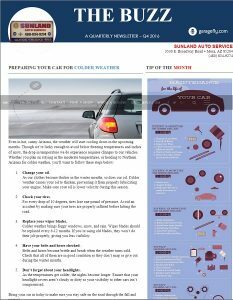 Included is quarterly newsletter, maintenance tips & tricks, great resources and other saving information for you and your car. © 2017 Sunland Auto Service - All Rights Reserved.